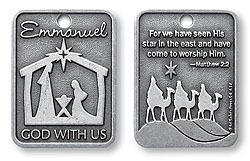 Cast from antiqued pewter, this medallion is a great handout to the parish or school this Advent season. 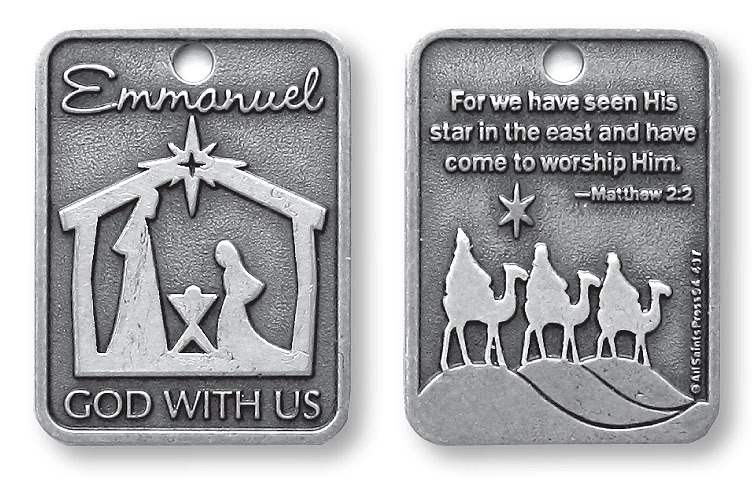 Matthew 2:2 is inscribed on the back. Key ring not included.